Fast & Easy Set-Up. Free To Run. Unlimited Potential. Our unique fundraising programs empower an individual or group to raise funds and/or awareness for a cause, loved one, group or project through online campaigns. 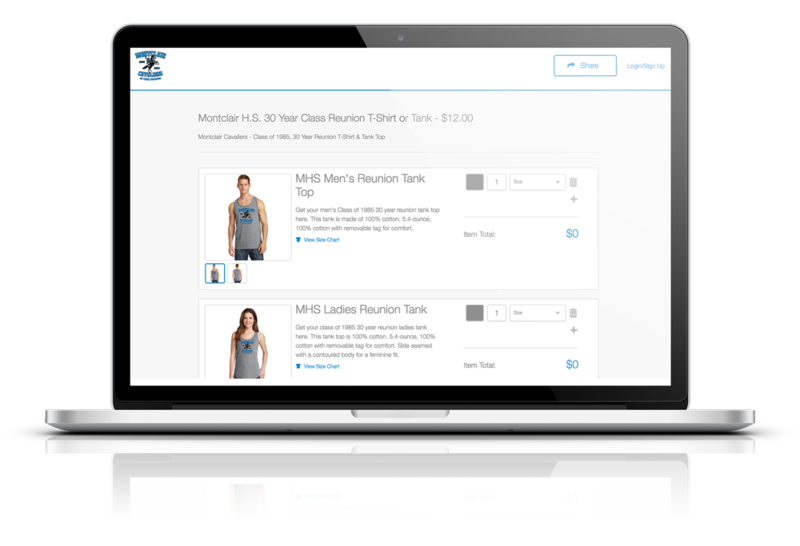 Typically, these are driven by sales of custom-designed apparel, but they may also include any type of merchandise or product that appeals to your target audience. Additionally, we can run a donation component in conjunction with the apparel campaign for people who would just like to contribute to the cause. Our designers will work with you to craft a compelling story and great design for your t-shirt. We will launch your campaign via social media, your circle of influence and community outreach. Once your campaign closes, we will print and ship your order and forward you the funds you have raised. It is simple, affordable and relevant. Everyone likes a cool t-shirt. NO risk, NO inventory, NO set-up costs, NO headaches. We Design It, We Ship It, You Get Paid.